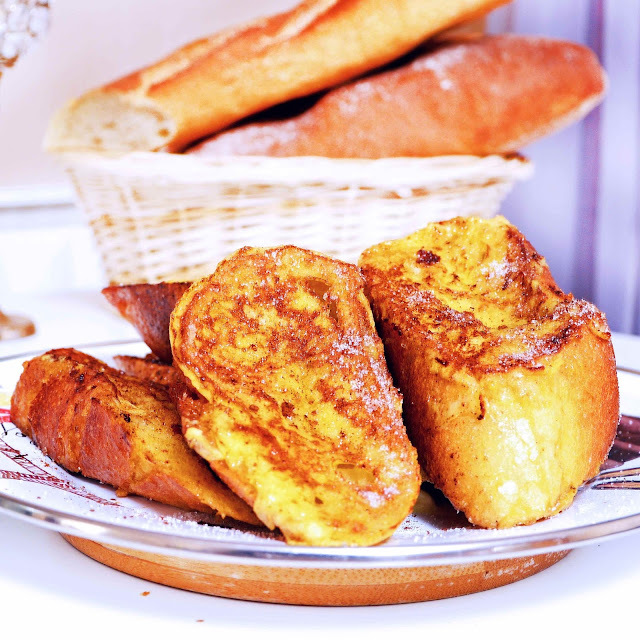 The Paris Feast: Pain Perdu : French toast in the French style. Bread dipped in egg and milk is known across the world by different names, in France it is called the Pain perdu (lost bread). In English (mainly in the USA) and in Mexico it is known as the French toast. 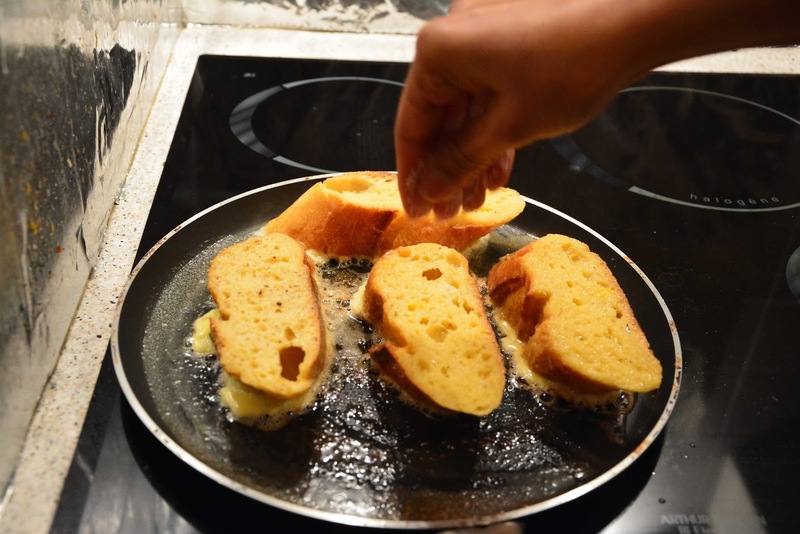 So how about making the “French toast” in the way made by the French. First, and foremost, the French way of making it is surely by using the most common French bread, the baguette. The rest is simple and within minutes you have a tasty sweet brunch waiting for you. 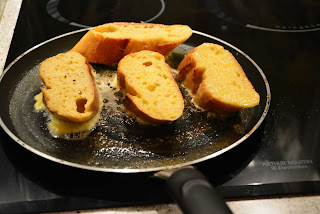 This dish is however calorific, egg, milk and baguette being fried in butter but it is worth given the ease of preparing it and its savory taste. Here in France, pain perdu is also served as a pastry or as a dessert. Originally it was made with stale bread to avoid their waste. But over time the process of making pain perdu has evolved and today it is much more than just a method to save bread, it is rather a savory delicacy. 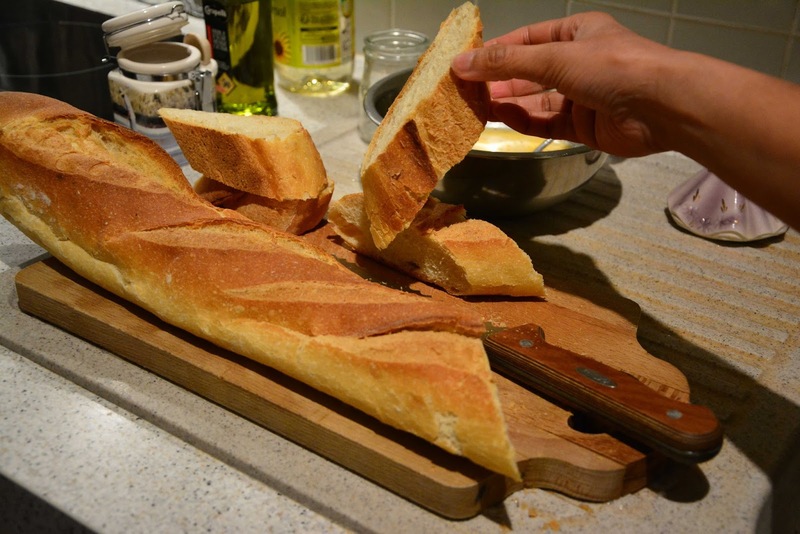 Cut the baguettes longitudinally at a slanting angle of about 5 centimeters in thickness. 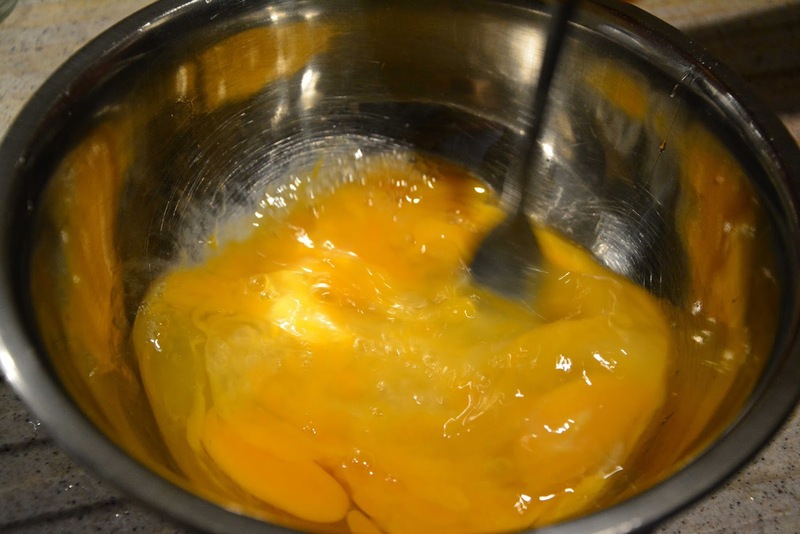 Take the eggs in a deep bottomed bowl and add salt to it. 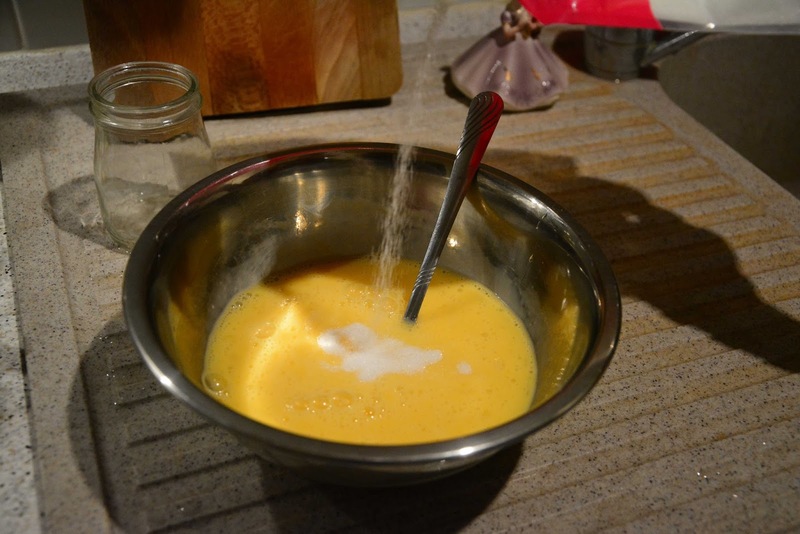 Whisk nicely. Add the milk. Whisk nicely. 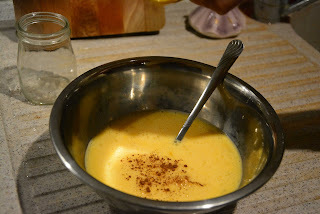 Add the cinnamon powder and whisk again. Put the butter on a non-stick pan and let it melt. In the meantime dip the bread pieces in the batter and coat them nicely. Place them on the buttered pan. After a minute, sprinkle them with sugar and change the sides and cook the other side for 30 seconds. Remove them from the pan and sprinkle sugar and cinnamon powder and serve them hot. Bread dipped in egg and milk is known across the world by different names. 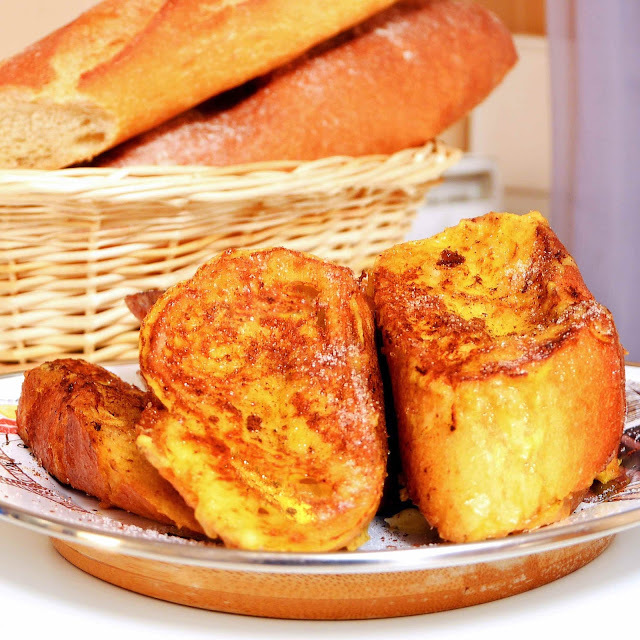 In USA and Mexico it is called the French toast and in France it is called Pain perdu. So here is the French toast in the true French style. Take the eggs in a deep bottomed bowl and add salt to it. 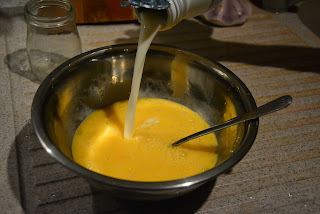 Whisk nicely. Add the milk, sugar and cinnamon to it and whisk again. 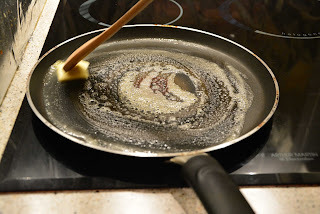 Put the butter on a non-stick pan and let it melt. Dip the bread pieces in the batter and coat them nicely. Place them on the buttered pan.